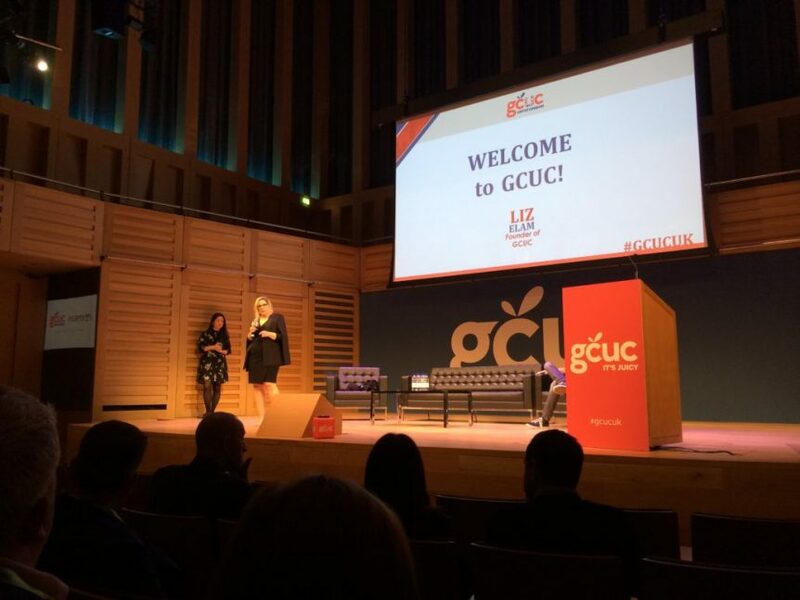 On Tuesday 25th September 2018 GCUC UK landed in the UK for a two day event. Flexible workspace operators, suppliers, clients and specialists came together at Kings Place for two days of conference, unconference and fun. 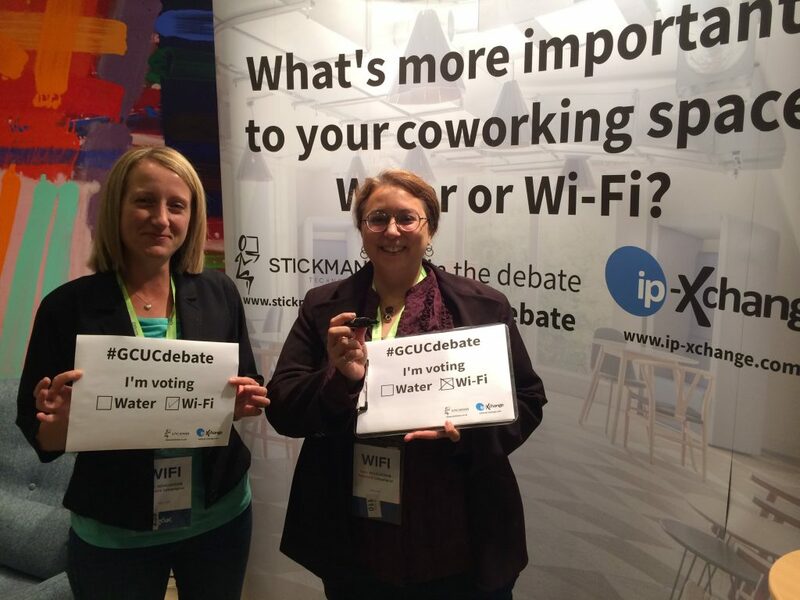 As Stickman and ip-Xchange were headline sponsors we welcomed everyone to our booth to join in the #GCUCdebate – ‘What’s more important to your coworking space – Water or WiFi?’. We also had our own mini coworking area that visitors were using to work, network and relax (and enjoy one of our branded waters of course). The conference was opened by Justin Harley and Liz Elam, giving everyone a warm welcome and setting us up for the days events. The morning sessions covered a wide variety of topics, starting off with a look at the current UK market. This was followed by a fascinating chat with the founders of The Office Group – Olly Olsen & Charlie Green. Before the coffee break there was a chance to debate if the current coworking trend is a bubble that’s about to burst or if it’s strong enough to continue its success. 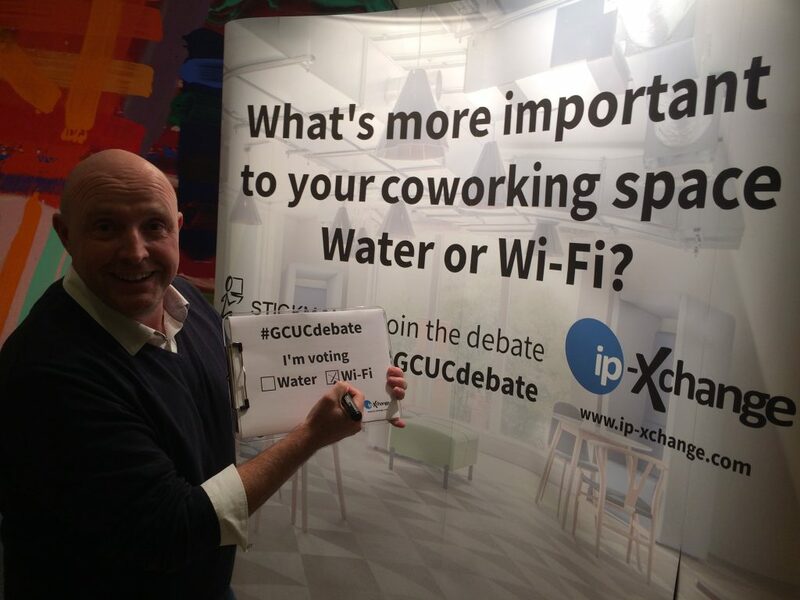 During the coffee break we were polling visitors to our booth for their views on the #GCUCdebate. While most opted for Wi-Fi we did have a visitor from Dubai choosing water…for obvious reasons! After coffee and voting it was back into the conference to cover the future of work (it’s all about the humans but the robots are coming) and the art of carving our a niche in often crowded world of flexible workspace (we all learned the term ‘nichification’). Lunch was a range of healthy and delicious options to provide us all with the fuel needed to continue the discussions and debate. Then, following the customary GCUC group photo, we dived back in to the afternoon discussions. These began with an insightful talk on all things money, with Giles Fuchs of Office Space in Town and others providing an insiders view of how to ensure your space is a success financially. The afternoon continued with talks and health and wellbeing, including a meditation session which got everyone in the right frame of mind. The conference drew to a close and we were again able to continue the #GCUCdebate with drinks and networking. In true GCUC style the second day was all about the Unconference, a chance to shape the discussions for the day and give the opportunity for everyone to have an input. 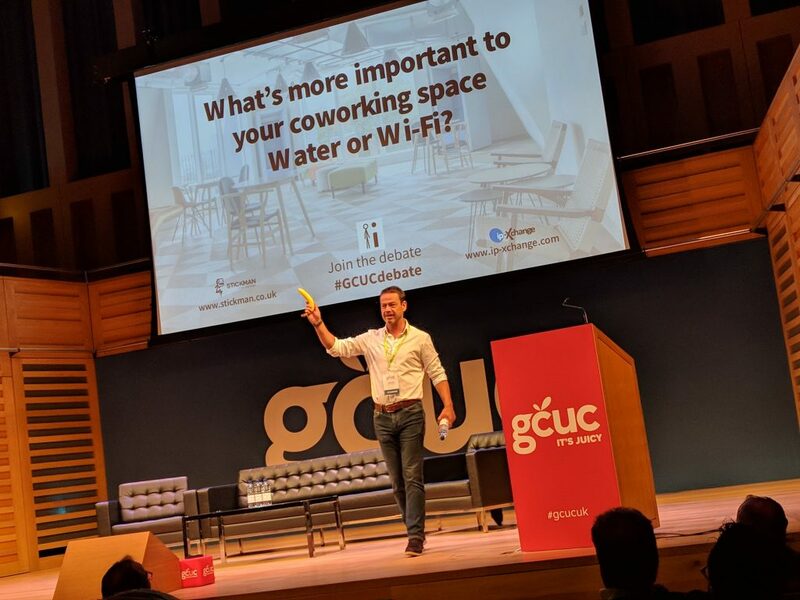 This gave us a platform to introduce ourselves as headline sponsors.Our Sales & Marketing Director Kevin was on stage (complete with #banana) to spread the word on all things Stickman & ip-Xchange and continue the #GCUC debate. After this the afternoon sessions were all crowd sourced allowing you to pick and choose which group you wanted to join in with. We’d like to thank everyone who came to see us and joined in the #GCUCdebate. We’d also like to thank the organisers for a great event and we’re looking forward to many more in the future. The UK is definitely juicy!